Breakfast, as we all know, is the most important meal of the day. For me personally, it is often the most challenging because I never have enough time to eat. By the time I get the family fed and out the door, I find myself immersed in work or chores and often forget to feed myself. For this reason, I like to have these Make Ahead Ham And Egg White Breakfast Sandwiches stocked in my freezer. Grab and go breakfast options are the perfect solution for these situations. Prepping these sandwiches ahead of time is a real time saver. Just pop them out of the freezer and warm them in the oven or microwave when you need a quick breakfast. This six-ingredient breakfast sandwich is really simple to prepare. I used egg whites to cut down on some of the calories too. Of course, every good sandwich starts with quality ingredients. Let start with the base first. My family loves Pepperidge Farm® bread. There are so many great varieties to choose from. I am partial to the Pepperidge Farm Farmhouse™ Whole Grain White bread which is what I used in this recipe. Pepperidge Farm breads are baked to perfection. They are double wrapped and have the authentic fresh-baked flavor my family loves. Since I used just egg whites for this sandwich, I needed to jazz up the flavor a little. 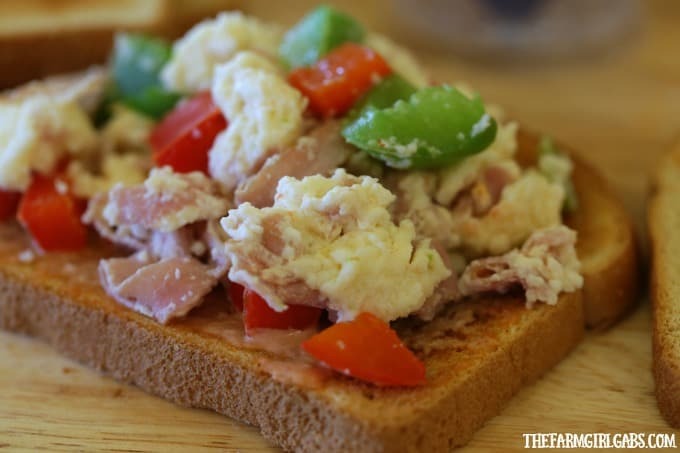 I added chopped Hillshire Farm® Thin Sliced Honey Ham and fresh peppers to incorporate with the egg whites. 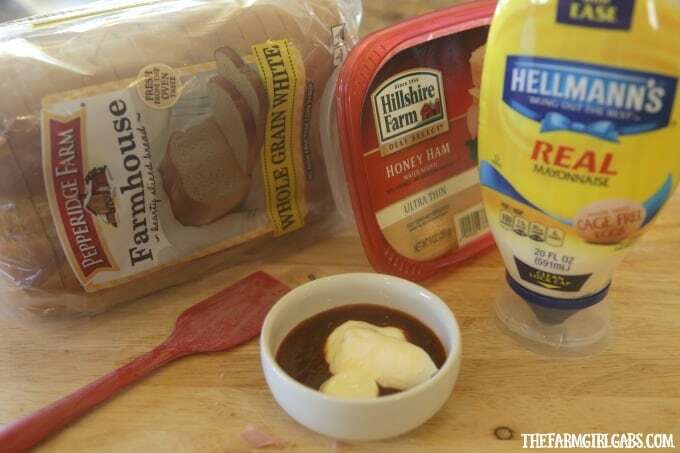 Hillshire Farm® Thin Sliced Honey Ham is slow roasted providing a delicious flavor to the sandwich. I added the peppers to a heated pan and sauteed them for about five minutes on medium heat. Then, I added the ham and cooked everything for one more minute. Add the egg whites and cook until firm. While the eggs are cooking, I toasted a few slices of bread. I decided to give my breakfast sandwich a spicy twist by mixing sriracha with Hellmann’s® Real Mayonnaise. I like a little kick to my sandwiches. Adding some additional flavor to the Hellmann’s® Real Mayonnaise is the perfect spicy punch. This recipe makes four sandwiches. Divide the eggs evenly amongst four slices of toasted bread. Spread some of the sriracha mayonnaise on the other slices of bread and top. 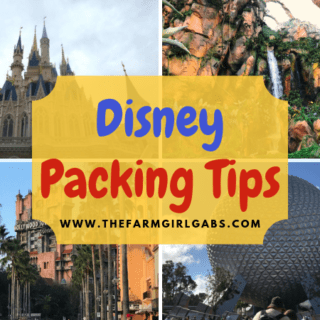 If you plan on freezing the sandwiches, simply wrap them in some aluminum foil and store is a freezer bag. I like to reheat mine in the oven by leaving them in the foil. But you can reheat also them in the microwave, just remove the foil first. All of the ingredients to make these Make Ahead Ham And Egg White Breakfast Sandwiches can be found at Walmart. The Pepperidge Farm Farmhouse™ Whole Grain White bread is located in the bread aisle, the Hillshire Farm® Thin Sliced Honey Ham is found in the refrigerated section and the Hellmann’s® Real Mayonnaise is in the condiment aisle. 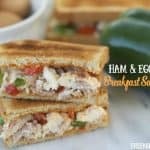 I love that these Make Ahead Ham And Egg White Breakfast Sandwiches are light on calories and full of flavor. It is the perfect breakfast to keep me satisfied all morning long. 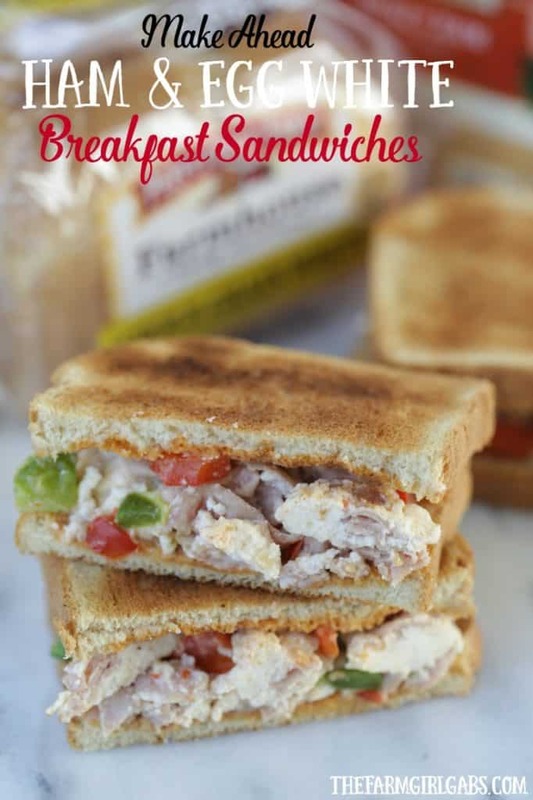 What are your favorite grab and go breakfast ideas? Chop peppers and ham; set aside. Mix Hellmann’s® Real Mayonnaise and sriracha together. Set aside. Heat a skillet over medium heat, spray with cooking spray. Add the peppers and cook on medium for about 5 minutes, stirring frequently. While peppers are cooking, toast bread. Add the ham to the peppers and cook for one minute more. Pour egg whites over entire pan and cook until firm. Divide mixture into four servings. Spread sriracha onto the bread and top with eggs. To freeze sandwiches, wrap in aluminum foil. Store is a plastic freezer bag. Reheat sandwiches in a 300 degree oven for 15 minutes. You can also reheat in a microwave for one-two minutes but be sure to remove foil first.